The two have come a long way together since their incredible Under-17 World Cup win. 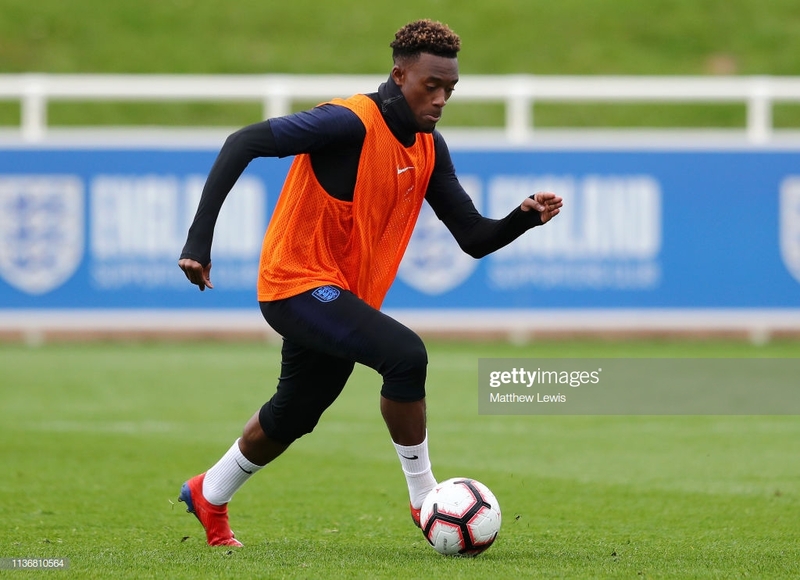 Today, Callum Huson-Odoi began his first training session for the England national team. Jadon Sancho was the first amongst many other England players to welcome the Chelsea teenager to the England first-team. The winger was promoted to the first-team in preparation for the first set of the Euro 2020 qualifiers against the Czech Republic and Montenegro. Hudson-Odoi was, by all means, surprised to have been given the opportunity having missed out of the initial picking. The 19-year-old claimed he was ‘shocked’ beyond belief. His new international teammate Sancho, though, was by no means surprised by his inclusion. Sancho and Hudson-Odoi are clearly good friends after having shared the wonderful experience of the Under-17 World Cup together. Both were regular starters in England’s emphatic tournament win. Now, though, they both feature in the pinnacle of international. Sancho, who got his first England callup last year, looked ecstatic to see his old-teammate and welcomed him with the warmest of embraces. After a touching moment between the two, the Borussia Dortmund winger reminded Hudson-Odoi that he knew this day was coming. “I told you,” said Sancho as Hudson-Odoi simply smiled back in acknowledgement. Sancho attempted to compose himself on seeing his old mate and welcomed the other new players like West Ham United’s Declan Rice. But his excitement – in a feel-good video released on the England twitter page- was too much to be contained as he simply ran back to congratulate Hudson-Odoi. The two are very similar players and have both quickly established themselves as a young starlet at their respective clubs. But how do these two good friends actually compare? In the 18/19 season Hudson-Odoi has recorded five goals and four assists in 19 matches. Sancho has had a more successful campaign recording nine goals and 13 assists in 35 matches. Dortmund’s faith in the youngster has clearly benefited the attacker who is enjoying his best scoring season for the Bundesliga giants. It is, though, Hudson-Odoi who of the two has a much better goals per minute ratio. On average the Chelsea prospect scores a goal every 119 minutes compared to Sancho who averages one every 249 minutes. The comparison between these two great friends should not be taken too likely and should simply excite the English nation about the possibility of seeing the two in action on either side of the wing.